Founder of RD Training Systems and Rick Kurtz have been helping real estate agents and companies invigorate their business strategies, generate qualified buyers. Attract & generate qualified SELLERS now! In this 40 minute workshop agents will receive a fast paced, quality, information rich on-site workshop. We will share 10+ actual innovative ideas, never seen, of current top agents working in real estate today that you can implement immediately to dramatically increase your income. GUARANTEED! You’ll go away with a system to create a consistent and predictable flow of business. How to attract & generate qualified SELLERS now! How to use a NEW pre-listing pack with current, proven strategies, which will virtually guarantee sellers to list with you every time. Prospecting for leads with an effective internet presence. Simple social media strategies that work. Using IDX, automated CMA for prospecting & lead conversion. How to incorporate simple lead generation systems to create a steady flow of clients. How today’s technology can be simple, profitable & inexpensive for you now. Using CRM systems for prospect conversion & retention. How to build a referral based business that will create clients for life. How to use one simple proven idea to ensure buyer loyalty and commitment 100% of the time. How to get FSBOs & EXPIREDs calling and begging you to take their listings. Discover why all the nation’s top agents leverage direct response marketing and see how it can be the most powerful and cost effective tool you can use to generate results now. We guarantee a minimum of 10-plus current, usable, on-the-spot answers to these questions and more. 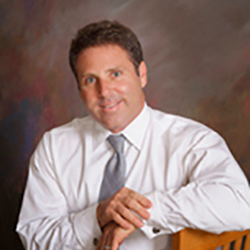 Rick Kurtz is the CEO of RD Training Systems. Call RD Training Systems today at 888-812-2210 or 877-812-2210 and our consultants can discuss scheduling a complimentary workshop in your office. No hassles, no gimmicks, no pressure. Don’t wait! Limited availability. Rick Kurtz accomplishments include past President and Co-Founder of the real estate industry’s first publicly held training company. Founder of RD Training Systems | Rick Kurtz Reviews | Real Estate Training Blog at WordPress.com.